Shawn sketch designer for Nuts About Sketches has rolled out 200 sketches as of today!!! What an incredible number that is!! They're hand-drawn, which really appeals to me. Plus, she designs everything from 2 pagers to single photo layouts. Please, go bookmark and subscribe to her weekly updates, a new sketch and reveal goes out every Monday!! Firstly, this was scrapped on a 12x12 piece of Clear Scraps acylic. So the shadows and such you see behind the layout, is because it's completely 100% see through. The other cool acrylic piece I have on here is that lamp post embellishment on the bottom left. I couldn't help but to put some wood grain paper behind it. 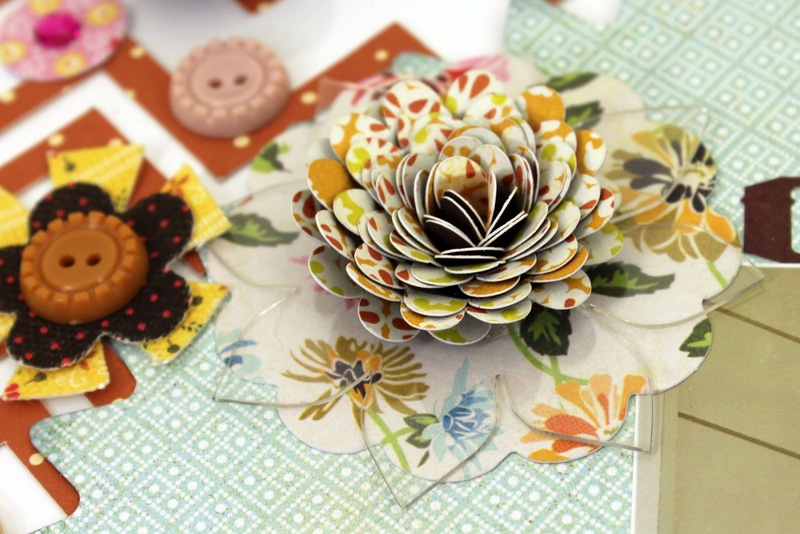 If you look closely, there is another Clear Scraps floral embellishment beneath the paper flower.. isn't that cool? 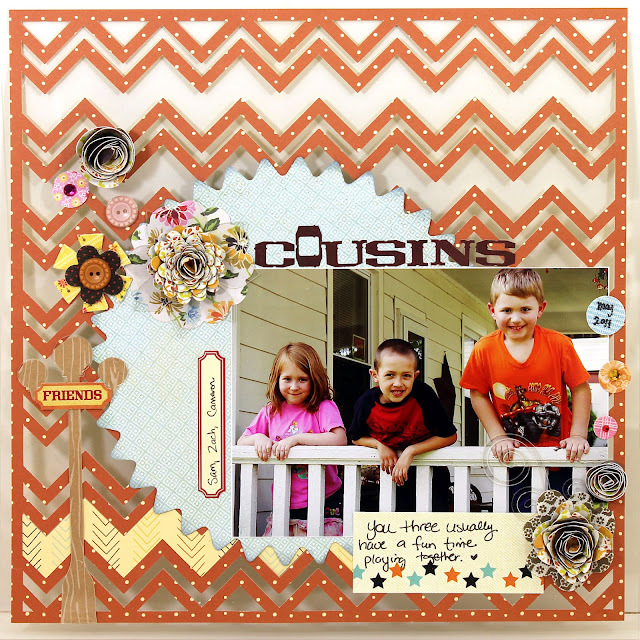 I adore the clear scraps products!! Have you liked them on Facebook yet?? Show me your Chevron linky party! Oh, wow! This is amazing. Love the fact you did it on clear acrylic! Hope your little one feels better soon! I love love love love your lo!! LOVING the background, the photo and loving the flowers! Superb layout, love all the bits and bobs. Your flower is awesome. Hope your little one feels better soon, hugs. The clearscraps stuff is so fun! I must try some! 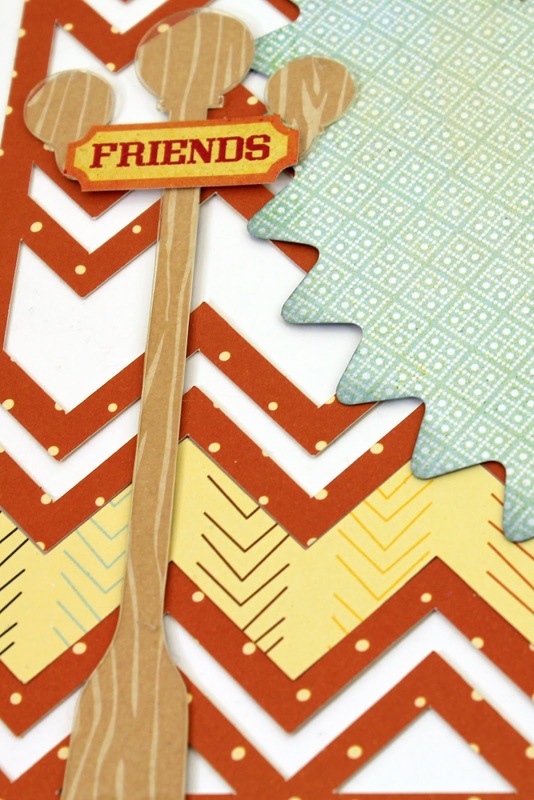 Love your chevron layout! WOW Leah! This layout is absolutely FABULOUS!!!! I LOVE the way the acrylic looks and the shadows created by the paper. At first glance, I thought this was a digital layout! Love your overall design, the fun colors and that amazing flower!!! !